The final of ISEF 2018 was held at the RDS on March 26th. Three finalists presented to a cohort of Ireland's foremost business leaders in a bid to win the €8,000 cash prize and a mentorship with Unifund. The job specific vocabulary app Lexi emerged as winners on the night. Lexi is an e learning platform that teaches non-native English speakers industry specific vocabulary in order to improve their employment opportunities. By focusing on digitised, dynamic and relevant content we save our users both time and money. Our courses are generated online using machine learning ensuring that our tailored language courses meet each of our customers needs. Focusing on initial courses in healthcare related English, Lexi aims to break the language barrier when it comes to getting a job abroad. Lexi was founded by two friends whilst studying in Trinity. A profile-based recruitment platform that matches students seeking placements and internships, with business seeking student workers. These businesses are primarily SMEs who may not have the ability or marketing budget to access the student market. Students and businesses create profiles and can interact , follow each other, communicate, create and apply for job ads and tell their respective stories. Luminary Hub provides high end digital solutions at a lower price point, focusing on undergraduates who have all the necessary skills and don’t demand a high premium. Work is bespoke and unique to each customer, with an emphasis on building trust. Luminary Hub are building a network of developers in third level education to join, learn from and contribute, while creating new ways of interaction between software and hardware. 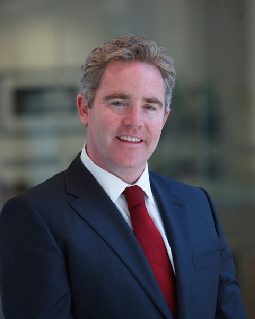 Dómhnal Slattery is the CEO and founder of Avolon. Dómhnal began his aviation financing career in 1989, initially in marketing roles with Guinness Peat Aviation (GPA) and GECAS. In 1994, he established his own aircraft advisory and investment banking services company, International Aviation Management Group (IAMG). In 2001 the Royal Bank of Scotland Group acquired IAMG as the launch platform of RBS Aviation Capital. Less than eight years after its founding in May 2010. Avolon is the world’s third largest lessor ranked by number of aircraft owned. To date it has 908 aircrafts with the youngest fleet of the top 3 aircraft lessors Worldwide and revenues in 2017 over €2.4 billion. Sonya lennon is the founder of FaFinder. All her experience is woven into story of style, creation and starting from scratch to build value. In 2011, Sonya launched the first ever Irish branch of international social enterprise, Dress for Success now spanning 140 countires. The Irish organisation has gone on to support 1500 women on their journey to economic independence. 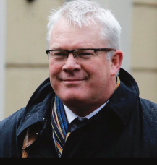 Ian Curley is the former CEO of the Ardagh Group, one of the world’s largest metal and glass packaging companies. Mr Curley was also the former CFO of Smurfitt Kappa PLc. Ian used to work for James Crean Masterfoods before joining Jefferson Smurfitt (Smurfit Kappa’s predecession as well as 3M. He is a qualified accountant, UCD Commerce graduate and has an MBA as well from UCD. Most recently CFO of Paddy Power plc. Mr Mc Carthy was also CEO of Ulster Bank during which time he served in various roles within Royal Bank of Scotland, including Deputy Chief Executive of their retail division in the UK and Chief Executive of their retail and commercial division in Europe and the Middle East. Cormac is currently a non-executive director of DCC Plc and is also a former Non- Executive Director of BWG foods. Cormac is also the current chairman of the UCD Foundation. A partner in People and Organisation Tax group in PwC providing employment tax, payroll, mobility, reward and talent solutions to Global and Irish organisations. Carmel chairs PwC’s NED engagement forum “The Boardroom@PwC”. She was also previously member of PwC Ireland’s Leadership Team as People Partnr and Corporate Tax partner since 1995. Carmel is also a Business and Law graduate from UCD. Broadlake is an Irish private investment firm that provides their expertise to growing companies in the UK and Ireland. Broadlake hosted the first event of a series of workshops -the start up showcase. High potential applicants were invited to spend a day with the committee in the firm’s headquarters to gain a better understanding of their business ideas and find out more about the team. Talks were delivered by Tom Smyth of Broadlake, Dave Mc Guinness of Unifund as well as Recroot the 2017 winner. The Dublin Business Innovation Centre (Dublin BIC) empowers entrepreneurs to start and scale by providing a comprehensive range of programmes specifically designed to advance the ambitions of early-stage companies. In conjunction with ACT Capital, a technology focused venture capital firm, a day-long workshop was held in the Guinness Enterprise Centre. Four talks were delivered throughout the course of the day, focusing on Sales Strategy, the Startup Ecosystem, Access to Finance and Value Proposition. These key business skills and insights helped our entrepreneurs fine tune their business models and prepare for the semi-final. WebSummit is an international technology conference held annually since 2009. We were delighted to continue our yearly involvement with WebSummit. They held a pitch-deck webinar for the semi-finalists as well as investor communication. This undoubtedly helped improve pitch quality moving forward, and this was certainly evident come final day. NDRC invests in early stage digital startups, providing capital and expertise to young companies with international growth potential. The NDRC hosted the semi-final on March 15th as pitches were heard from seven innovative start-ups. A panel of four experienced judges selected the finalists.